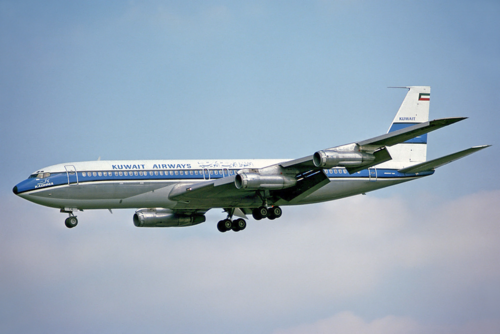 Kuwait Airways, the national airline of Kuwait, has halted all inter-European routes in order to avoid “further civil and criminal charges” in Europe for its refusal to allow Israeli citizens fly on its airline, according to the Lawfare Project, a U.S.-based nonprofit legal think tank that has challenged the airline’s policies in European courts. In mid-April, Lawfare Project Swiss Council Philippe Grumbach filed an administrative complaint with the Swiss Federal Office of Civil Aviation as well as a criminal complaint with the Prosecutor General against Kuwait Airways Corporation on behalf of an Israeli national living in Switzerland who was denied a ticket on the Kuwait Airways flight from Geneva to Frankfurt, Germany. 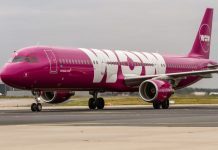 The complaint was based on the airline’s violation of the Swiss Penal Code as well as the Swiss constitution, which protects individuals from discrimination based on race, religion and ethnicity, the Lawfare Project said. Earlier this year Kuwait Airways dropped its route between New York City and London rather than transport Israeli citizens between the two cities. That decision came after the U.S. Department of Transportation found that the airline’s refusal to allow Israeli citizens to fly on the route amounted to “unreasonable discrimination” because Israeli passport holders have the legal right to travel between the United States and the United Kingdom. “Ironically, the Arab League boycott of Israel was instituted with the stated goal of delegitimizing and bankrupting the Jewish state,” the Lawfare Project said on its website. “This victory sends a loud and clear message to Arab League governments and corporations that the legal and financial risks of refusing to deal with Israelis will be disproportionately painful for the boycotters,” the project also said. Such virulent and deep-seated anti-Semitism that they’ll abandon entire routes rather than fly an Israeli (i.e. Jew).